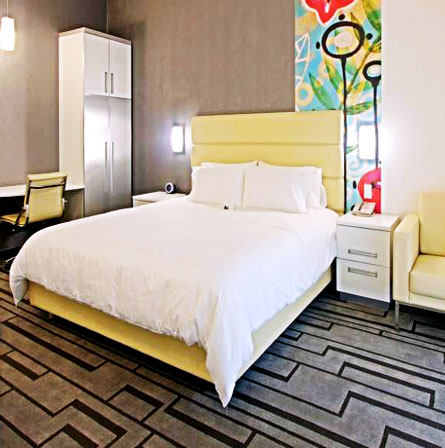 This boutique hotel in Flushing, Queens features a rooftop garden with panoramic views of Manhattan and on-site shopping and dining. LaGuardia Airport is 5 miles away. Each guest room at Hotel de Point features a flat-screen cable TV, an iPod docking station, and a refrigerator. They are decorated with unique wall art, and have free Wi-Fi access. A continental breakfast is served daily. Enjoy a casual lunch or dinner in the dining room or visit Kam Man Grocery for a variety of spices and produce. Other retail shops are on site at the Flushing Hotel de Point. Citi Field, home of the New York Mets, is 3 miles away. 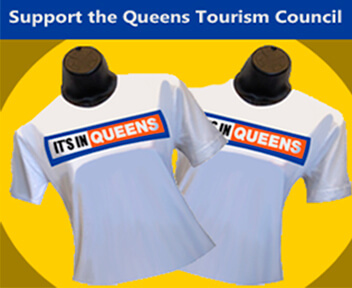 Flushing Meadows Corona Park, home of the US Open is 4 miles from the hotel.